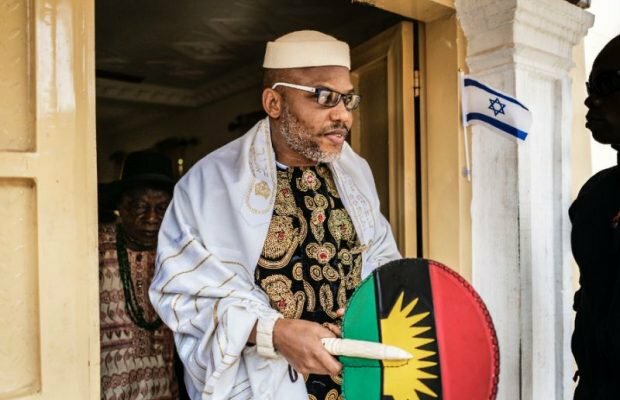 The leader of the proscribed Indigenous People of Biafra , Nnamdi Kanu , has said that despite being granted bail by the Federal High Court in Abuja where he is being prosecuted alongside others on charges of treasonable felony , he is still entitled to the $ 800 m compensation for his alleged unlawful arrest and detention in 2015. This is contained in his response to the motion filed by the Federal Government asking the Community Court of the Economic Community of West African States sitting in Abuja to dismiss a fundamental human rights enforcement suit filed by the IPOB leader. Kanu had filed the suit on March 3 , 2016 demanding $ 800 m as compensation from the Federal Government for his alleged unlawful arrest in 2015 and detention . But the Federal Government , through its lawyer , Mrs . Maimuna Shiru, filed its motion on November 13 , stating that Kanu having been granted bail by the Federal High Court in Abuja on April 25, 2017 , and allegedly jumped bail, the judgment of the ECOWAS Court on the suit would serve no purpose . But Kanu , through his lawyer , Mr. Ifeanyi Ejiofor , objected to the Federal Government ’ s motion contending that granting bail to the IPOB leader was just a partial satisfaction of prayers sought in the suit . He maintained that the ECOWAS Court had the power to grant his client the $ 800 m compensation sought since the IPOB leader’ s rights had been violated .